Best ways to avoid tripping your breaker this holiday season! For anyone hosting Christmas for the entire family or striving to have the house that is the envy of the neighborhood, tripping breakers and blowing fuses is a real concern. Overloaded circuits could put your Christmas dinner in the dark. York Electrical Services, your local electrician in Fort Collins is here to help you keep the lights on all season long. What causes your breaker to trip? Look for the studs when hanging wreaths or pictures. Your wreath may be light enough that you don’t think you need to nail it to a stud. While the weight may not be an issue, there can be wiring right behind the drywall. If your nail goes through the wires, it can cause a short in the circuit, trip your breaker, and become a potential fire hazard. Check the wiring on appliances before plugging them in. The cold weather may have you digging in the basement for a space heater or electric blanket. Before you plug it in, check the cord for any chew marks, cuts, exposed wires, or other damage that may have happened while the heating unit was stored. Unplug electrical appliances that are not in use. Electrical current still runs to the appliance when not turned on. It reduces the draw on the circuit to unplug the coffee maker, game systems, etc. Spread out heated styling tools. Hair dryers, flat irons, and curling irons, each draw more power than you might think in order to generate heat. Having too many devices in use at the same time can overload the circuit. Only use extension cords for added length. If a room has limited sockets, it may be tempting to use an extension cord to increase the number of electronics you can plug in. While you can do this safely in some cases, such as setting up the TV and game systems, do it sparingly. Use LED Christmas lights. Incandescent string lights can use twice as much electricity, and you may only be able to connect up to two strings when using C9 string lights. If you want to decorate the entire yard, roof, and face of your house, those amps can add up. Using LED Christmas lights will lighten the load substantially. Use multiple outdoor circuits. It’s possible that two outdoor outlets are on the same circuit, so check before plugging in too many lights. Even if you can reach across the entire yard from one side of the house, spacing the load out across multiple outlets will help reduce the stress on a single circuit. Know your amp usage. If a room has more than one outlet on a different circuit, you can avoid breaker trips by vacuuming or using a space heater on the lower load circuit. As always, York Electrical Services is here to help! We offer free estimates and are clean, honest and professional. Call us today for scheduling. Have a wonderful holiday season! It’s time to think about Thanksgiving electrical usage! While the rest of the country slowly devours the last of the Halloween candy and tries to plan the Thanksgiving guest list, the phone at York Electrical Services, your local electrician in Fort Collins has started ringing. Our customers, looking ahead at to the Thanksgiving surge of power usage, are calling to have their repairs and upgrades done now so they can maintain their electrical integrity during the holidays. Thanksgiving is a hot time for electric usage! Consumers spend 25$ million in turkey roasting alone according to TXU, a Texas energy provider. This figure does not include the mashed potatoes, yams with the delicious marshmallows on top, or the pumpkin pies. In fact, the danger of a house fire on Thanksgiving is formidable and is the number one day for house fires in the entire year! Similarly, Thanksgiving weekend is the time that many families put up their holiday lights. In keeping with the family tradition of not getting electrocuted Christmas Vacation style, many homeowners install GFCI and weather-protected outlets for their outdoor holiday lighting. Careful inspection of each strand also ensures that there aren’t any damaged or exposed wires. Advance preparation for all of these activities gives a homeowner a pretty good idea of any electrical repairs that might need to be done for the holidays, but also gives them an awareness of the heavy electrical usage they will encounter. Not just from cooking and entertainment, but also from the needs of the number of guests who are invited. The lights, the number of times the front door is opened, using the dishwasher, and things like opening the refrigerator all contribute to the bill. Most importantly, York Electrical Services would like to take this opportunity to wish you, our loyal customers and readers, a safe and Happy Thanksgiving! The weather is starting to get cooler, and as summer rolls into fall, York Electrical Services, your local electrician in Northern Colorado wants to remind everyone of ways they can keep their homes safe from fires! Check your smoke detectors—you should test your smoke detectors twice a year—once in the spring, once in the fall. In addition, remember that smoke detectors are designed to last 10 years. If yours is older than that, it’s highly recommended that you install a new one. Check carbon monoxide (CO) detectors—having a smoke detector isn’t enough anymore; if you want to keep your family totally safe, you need to also install a carbon monoxide detector. Carbon monoxide is an odorless, colorless, and highly toxic gas that can be deadly even in small amounts and can be released by any faulty gas appliance, including furnaces and fireplaces. Inspect your extension cords—with the holidays coming up, you’re going to want to make sure your extension cords are in good shape and not damaged or frayed. Any extension cords you’re planning on using outdoors should be weather-rated. Protect your outdoor electrical systems—any outdoor electrical outlets should be GFCI outlets and covered by to keep the elements out. Install arc fault circuit interrupters—Arc fault circuit interrupters (AFCI) are designed to detect an unintended electrical arc and disconnect the power before an electrical fire can start. They are the safest way to protect a home from the risk of electrical fire. Safety is our number one priority at York Electrical Services, your trusted local electrician in Fort Collins. Since the 1960s, receptacles and circuit breakers with GFCI technology have become standard in homes to protect occupants from electric shock. Required by the NEC for outlets located in certain wet or damp locations, such as near bathroom sinks, kitchen countertops, bathtubs, and showers, GFCI receptacles monitor variations in the electrical current flowing through the line. In instances where a person accidentally becomes part of an electrical circuit, a GFCI receptacle would immediately trip, preventing electrical current from going through a person on its way to ground. It’s a technology that can save lives. But did you know that GFCI circuit breakers don’t have to adhere to the same safety standards that govern GFCI receptacles? Until only recently, safety standards for GFCI circuit breakers included exceptions which may allow for unprotected power to remain flowing through a circuit breaker that has reached end of life. When this standard was adopted it assumed that GFCIs, like all consumer products, have a limited life expectancy and would eventually reach a point where they could no longer provide ground fault protection. Call us today for a free estimate if you are unsure about your GFCI protection. Your family is our family and we are here to help and as always we look forward to doing business with you. York Electrical Services, your preferred local electrician in Fort Collins would like to wish everybody a safe and happy Independence Day. A big thank you to those who are serving or who have served, our freedom would not be possible without your sacrifice. Call us today for any electrical project big or small and find out for yourself why our customers recommend John York repeatedly. A veteran himself, John is a Master Electrician, personable and an all-around great guy. His prices are fair and honest, and he always has a story if you need a good laugh. Contact us for a free estimate! We look forward to doing business with you. LED Light is efficient. Far more efficient than the HID, fluorescent or the incandescent bulbs they replace. However, not all the energy LEDs consume is converted to light. Some of the energy is used to create heat, and while LED is far more efficient than other light sources, the heat it produces must be removed. York Electrical Services is your knowledgeable, local electrician in Fort Collins, and whatever your needs may be, we are here to help. Why do you need cooling? Removing the heat from the LEDs extends the life of the product. Think of an LED light installed inside a cooler or freezer area. The ambient air is cold which keeps LEDs performing well for years. Active cooling typically means there is a fan of some sort. This type of cooling has been used for decades on electronics: computers, laptops, TV’s and amplifiers. Fans produce a steady stream of air that transfers the heat away. So, why not use a fan all the time? In short, you don’t need to. Lighting designers can integrate the heat-sink as the fixture housing itself, combining both form and function. For example, LED UFO High Bays have the heat sink as a part of the fixture. It is significantly large enough to absorb the heat produced by the LEDs and radiate the heat away from the fixture. Neither. They are both good. Both are the perfect solution for what they were designed to solve! If you need more information, we are here to help. York Electrical Services offers free estimates. Call us today and find out why we are the electrician of choice. As a veteran himself, John York owner of York Electrical Services, your local electrician in Fort Collins, would like to wish everybody a Happy Memorial Day. 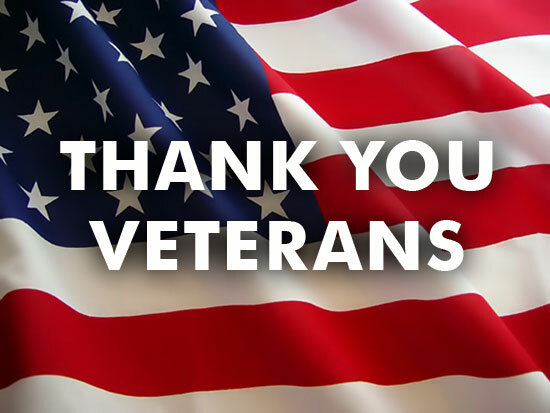 Thank you to all who have served and those who continue to serve. Your sacrifice is appreciated beyond words. Remember we offer free estimates and military discounts. We are clean, honest, and professional! We warranty all our work to ensure your project is done right. Call us today at 970-632-0323, we would love to earn your business and become your go-to electrician. Have a wonderful holiday! Why Choose York Electrical Services? When it comes to choosing a local electrician in Northern Colorado for your summer projects, York Electrical Services makes your choice an easy one. We are a small family owned business which means you get 100% attention to detail 100% of the time. We take pride in our work and treat you with the respect you deserve. Not only that, but we pride ourselves on making sure our clients are communicated with through the entire project to ensure there are no “surprises” when it is complete. We are friendly, personable, honest, clean, and professional with a stellar reputation in the community. Don’t forget we provide free estimates to work with you and your budget. So, don’t put off your summer electrical projects any further. Call us at 970-632-0323 and schedule your appointment today. We will make sure you are ready for your first BBQ of the Summer! According to the Electrical Safety Foundation International, more than 30,000 non-fatal shock accidents happen every year. Luckily, these are easy to prevent! With some basic knowledge and training from your local electrician in Fort Collins you can spot potential dangers in your home. Outlet covers are the first step to ensuring electrical safety especially if you have children. New safety features allow the outlet to open only when a cord is inserted. This prevents children from tampering with them. Be sure to keep track of voltage and wattage when replacing light bulbs. A light bulb can short out if inserted into a socket over its capacity. The recommended wattage can easily be found printed around the light bulb socket. Switches and outlets will wear down over time with routine use and should be replaced to assure electrical connections remain stable. Also, replace any damaged outlet covers to prevent tampering. Try to avoid having too many heavy appliances plugged in and running from the same outlets or power strips. This can lead to overheating, a short circuit, or a tripped breaker. If you are doing electrical remodeling or working on any projects that require drilling or cutting into walls, turn off all appropriate power sources. Even if you are doing small tasks like drilling a hole in a wall it is still best to turn off all circuits to be on the safe side. Don’t hesitate to call York Electrical Services with questions if an electrical job is beyond your scope. As always, our estimates are free, and we look forward to doing business with you.